Banks ‘conned’ ministers into setting the Royal Mail share price too low – causing the taxpayer to lose out on millions, MPs were told yesterday. They threatened to ‘walk away’ from the sale if the shares were sold for more than £3.30, MPs were told yesterday. As a result, they have made a fortune by purchasing the shares – which are now worth £5.65 each, an increase of more than 70 per cent. Meanwhile the government has been accused of ripping off the taxpayer by selling the company far too cheaply. Michael Fallon, the Business Minister, added: ‘It became very clear to us that there was a point at which institutional investors would not invest. The Government raised £1.7billion from the sale, but would have raised nearly £3billion for the taxpayer if the shares had been priced at last night’s closing price. Adrian Bailey, the Labour MP and the committee’s chairman, also expressed his surprise at the decision to appoint Goldman Sachs to advise ont he sale. When the investment bank was involved in a similar case in America, it became embroiled in a lengthy legal case accused of pricing the company – called EToys – too cheaply when it was floated on the stock market. Despite the concerns raised by the banks over the share price, the sale proved hugely popular with both small shareholders and City investors. City firms applied for more than 20 times the number of shares which were available to buy. The share price soared as soon as the company was floated and has remained high – leading to claims the taxpayer has lost out on more than £1billion. Royal Mail is raking in profits of around £1.3million a day – a figure unions said yesterday was ‘further proof that there was no need for privatisation’. During the six-month period between April and September the company’s profits before tax jumped to £233million – around 2.5 times higher than the same period last year. 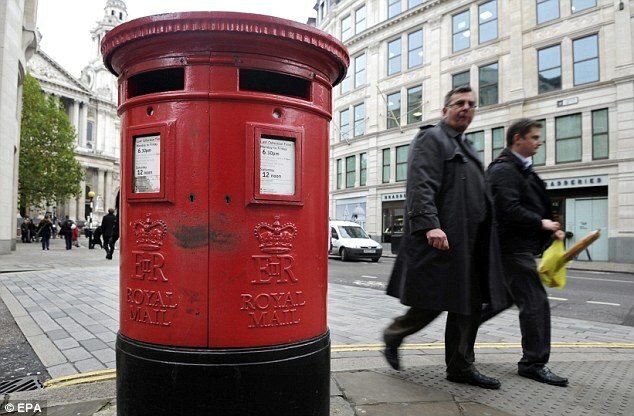 Royal Mail’s first results since the controversial flotation last month showed marketing mail sales of £545million, including the delivery of 1.5billion items of unaddressed junk mail. But the number of addressed letters continued to decline, dropping by 6 per cent. 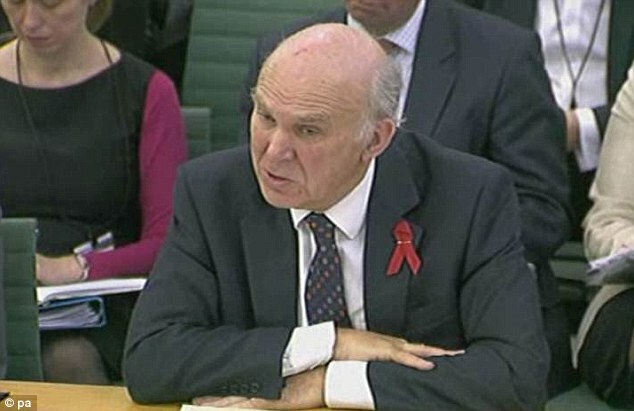 But Mr Cable yesterday continued to insist the current share price was ‘froth’ – a term he used previously. William Rucker, chief executive of Lazards, the bank which advised the Government on the sale, insisted it was the ‘maximum price achievable’ at the time. He told MPs yesterday that it would not have been possible to place the 600million shares in Royal Mail which were being sold at a higher price. During the hearing, ministers continue to lay much of the blame for the low price of the shares on the union’s threat of industrial action, particularly if timed to coincide with the flotation. 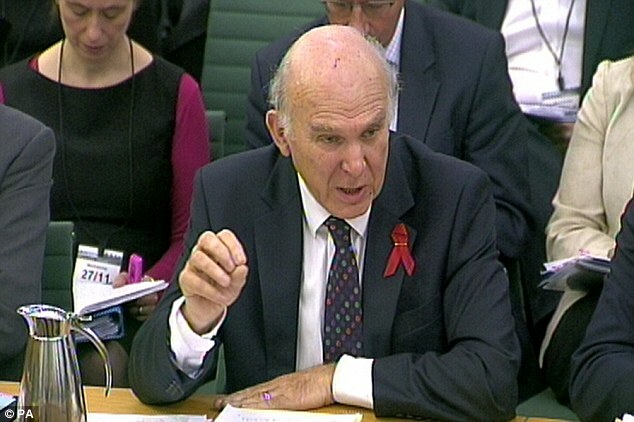 Mr Cable said ‘very many of the investors’ were ‘very concerned’ about Royal Mail workers’ long history of industrial disputes. A strike could have cost the company around £30million per day in lost revenue, Mr Rucker said. No strike has since taken place. The banking giants involved in last month’s flotation have already been paid £12.7million in fees, including £2.8million for Goldman Sachs. But they could scoop another £4.2million in an extra ‘discretionary’ sum, including an extra £800,000 for Goldman Sachs. Last week, a leading Tory think-tank, The Bow Group, said the flotation of Royal Mail was ‘catastrophically under-valued’ and called for an independent inquiry into the deal. Ben Harris-Quinney, its chairman, said at the time: ‘You can sell £10 notes for £5 all day long and call it a success. ‘But this is robbing the over-taxed Brit in a short-sighted fire sale of a valuable national asset.